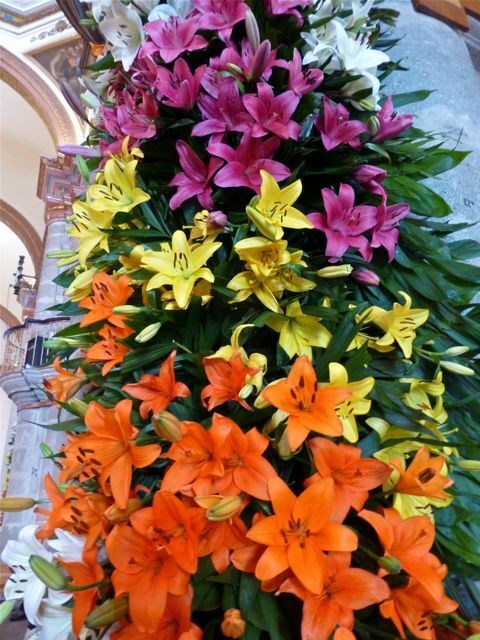 I love going into Oaxaca’s cathedral at this time of year, when the fragrance of thousands of flowers, especially lilies, perfumes the air. 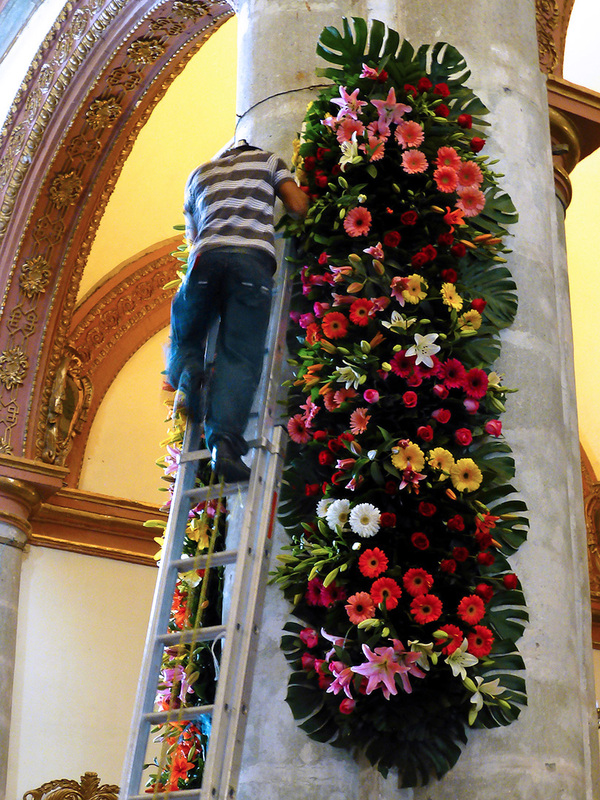 The Catedral de Nuestra Señora de la Asunción is being readied for October 23, the day Oaxaca celebrates Señor del Rayo. 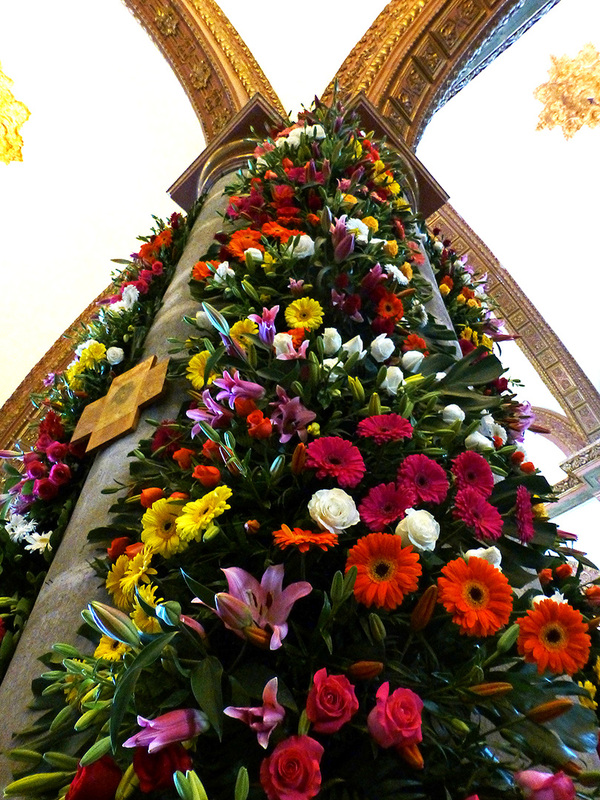 Like Guelaguetza, Noche de Rabanós (Night of the Radishes), and Día de la Samaritana (Good Samaritan Day), this is an “only in Oaxaca” celebration. 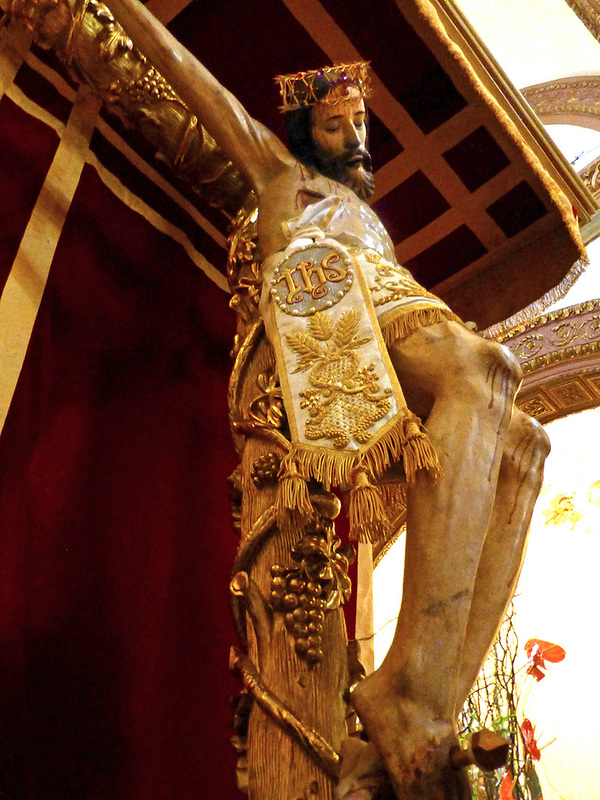 This carving of Christ on the Cross was brought to Oaxaca during the 16th century and was placed in the temple of San Juan de Dios, a church which had adobe walls and a straw (or possibly wood) roof. Legend has it that lightning struck the church and everything was destroyed, save for this figurine. A miracle! The statue became known as Señor del Rayo (Lord of Lightning), was placed in his own chapel (the furthest capilla from the main entrance on the left) in the newly built cathedral, and has been much venerated ever since. 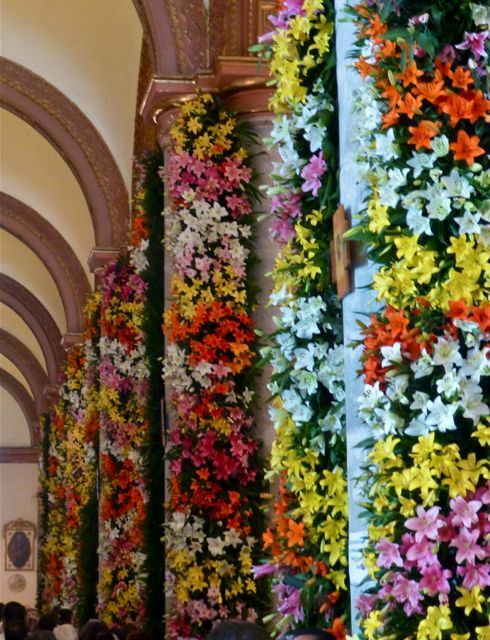 October 21, in anticipation of his special day, the cathedral is festooned with lilies and Señor del Rayo is moved out of the glass case in his chapel, to the main altar of the cathedral. 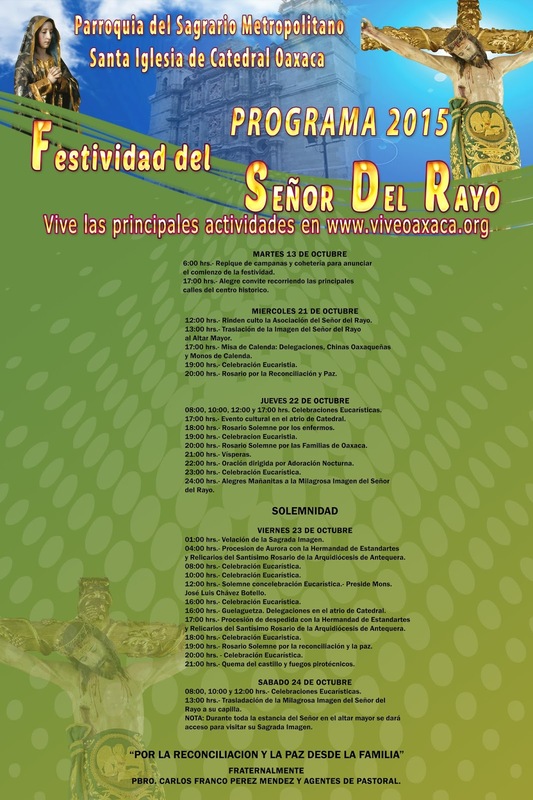 October 22 will be filled with religious and cultural events and at midnight, when the calendar day changes, the cathedral bells will peal and cohetes (rockets) will announce the arrival of Señor del Rayo’s special day. 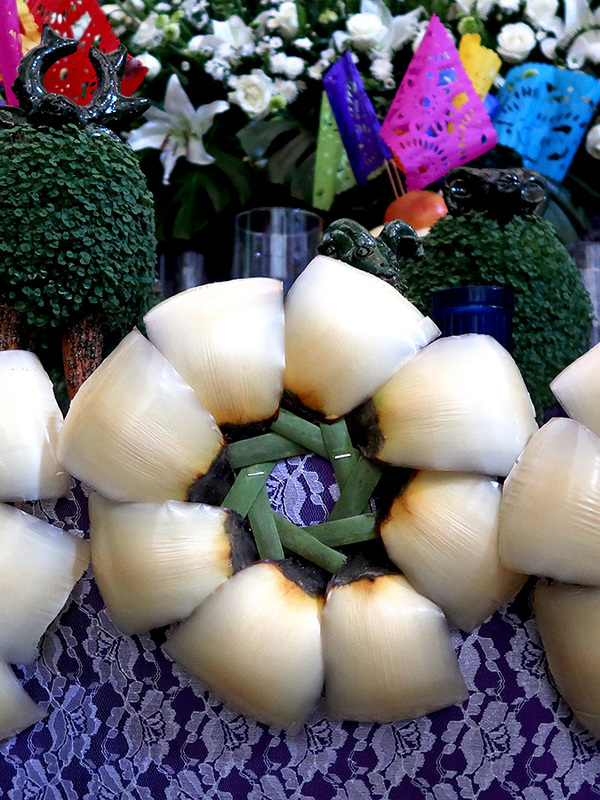 In honor of His day, on October 23, there will more spiritual and cultural festivities, culminating in a castillo and fireworks. 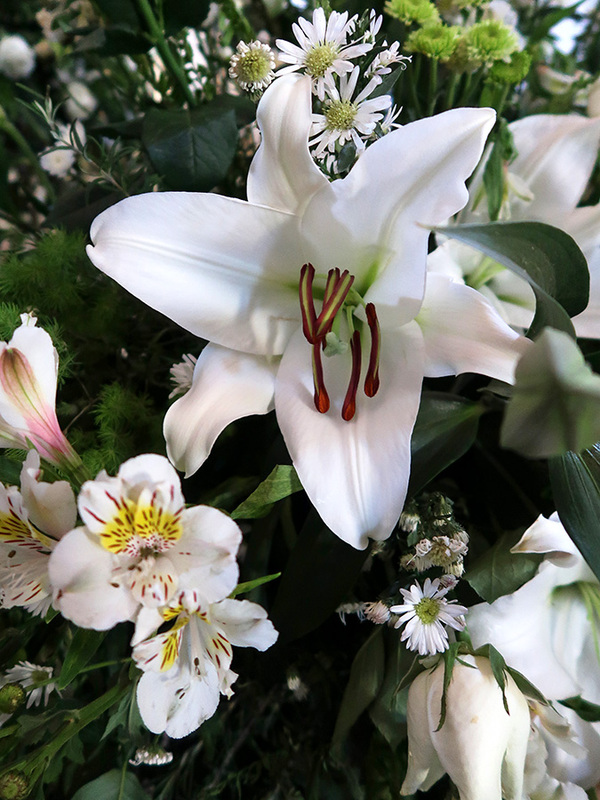 As the color and scent of the lilies fade, on October 24 Señor del Rayo will be returned to his chapel. 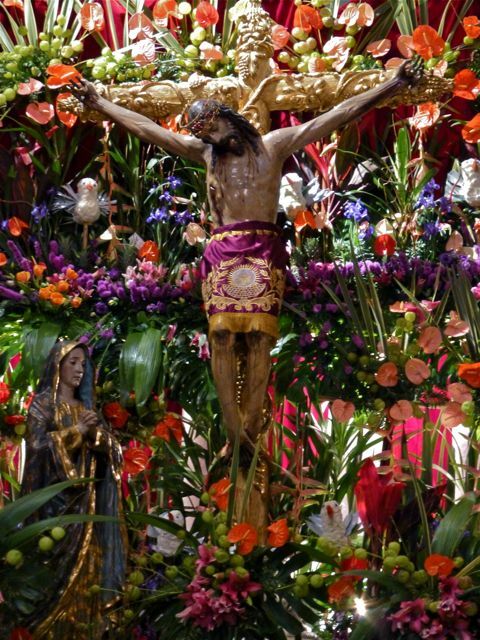 The end of eleven days of festivities celebrating Señor del Rayo. 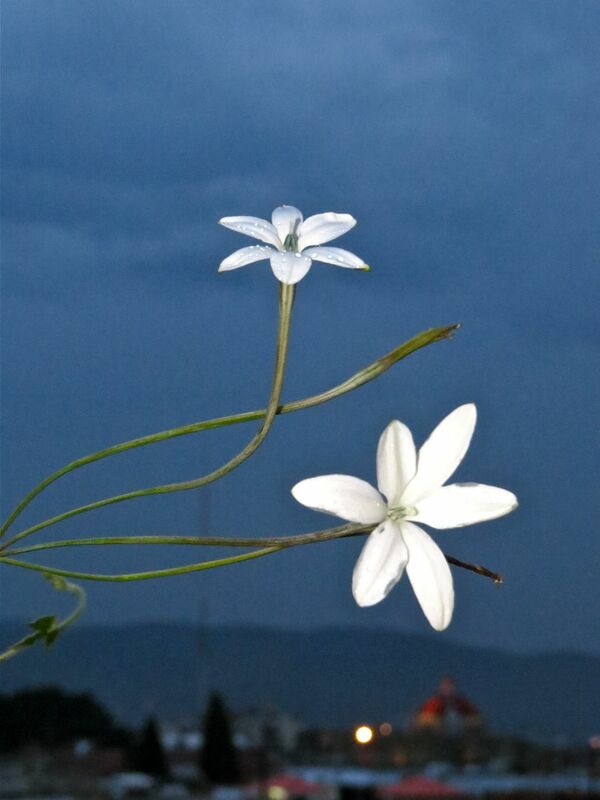 The azucena is a variety of tuberose and its name is familiar in Oaxaca. A popular boutique hotel near Casita Colibrí and a well-known restaurant at the entrance to San Martín Tilcajete are both namesakes. This must be a special flower. It is! A few evenings ago, I went out onto the terrace to soak in the view, as lights came on in the city, and discovered azucenas blooming in an old planter box on the terrace wall. Another night bloomer joins my pitahaya and night-blooming cereus. As Judy Sedbrook at Colorado State University, Cooperative Extension, explains, flowering plants on The Night Shift take over as the sun sets. 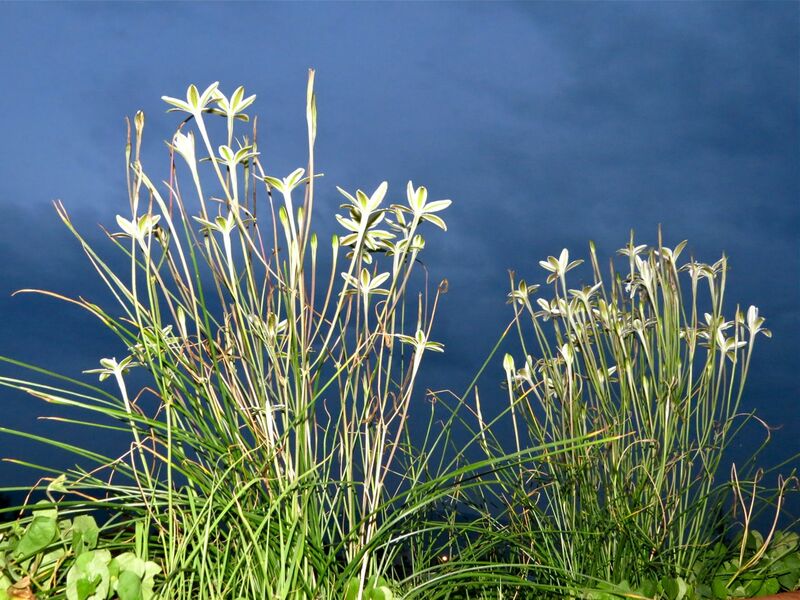 They are often white or light-colored, to better reflect the moonlight, and exhibit a heady scent, both in an effort to attract their night flying moth and bat pollinators. I love these sweet-smelling nighttime surprises! 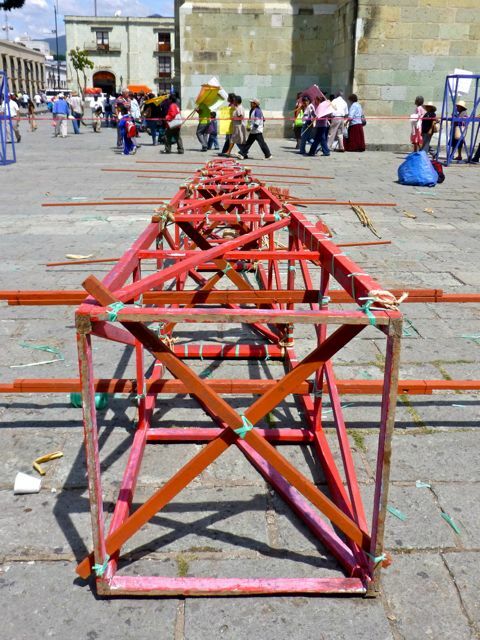 The announcement came at midnight with the ringing of the Cathedral’s bells and explosions of cohetes (rockets). Today el Señor del Rayo is having his day! 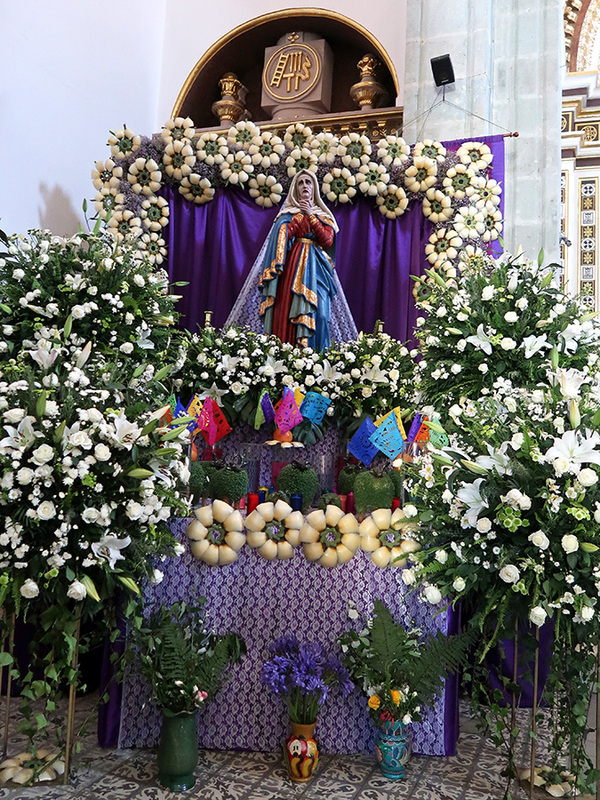 Like Guelaguetza, Noche de Rabanós (Night of the Radishes), and Día de la Samaritana (Good Samaritan Day), this is an “only in Oaxaca” celebration. 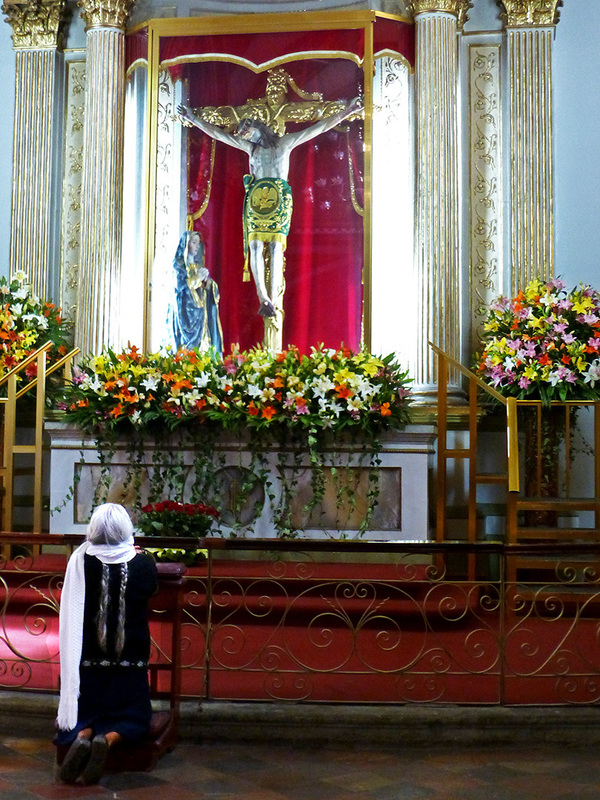 The carving of Christ on the Cross was brought to Oaxaca during the 16th century and was placed in the temple of San Juan de Dios, a church which had adobe walls and a straw (or possibly wood) roof. Legend has it that lightning struck the church and everything was destroyed, save for this figurine. 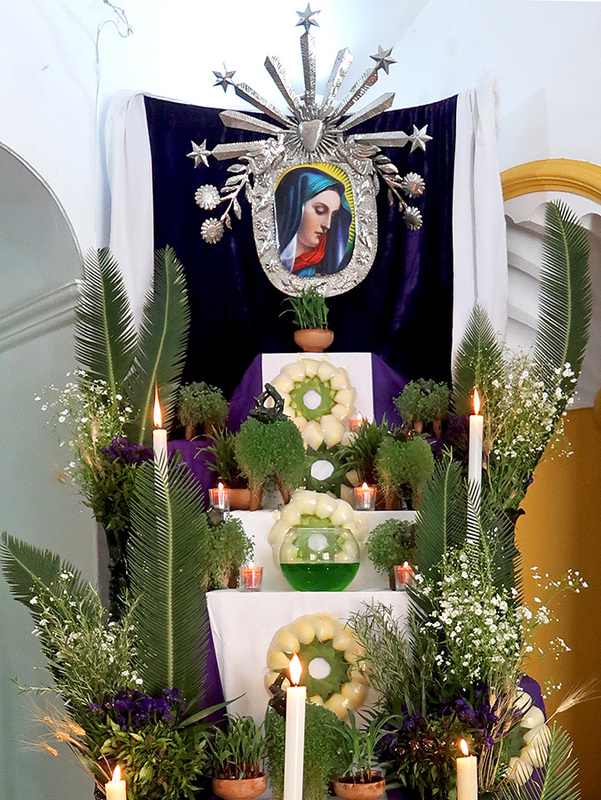 Un milagro! It was christened Señor del Rayo (Lord of Lightning), was given its own chapel in the newly built cathedral, and has been much venerated ever since. Like all good Mexican celebrations, be they religious or secular, there will be pirotécnicos tonight. 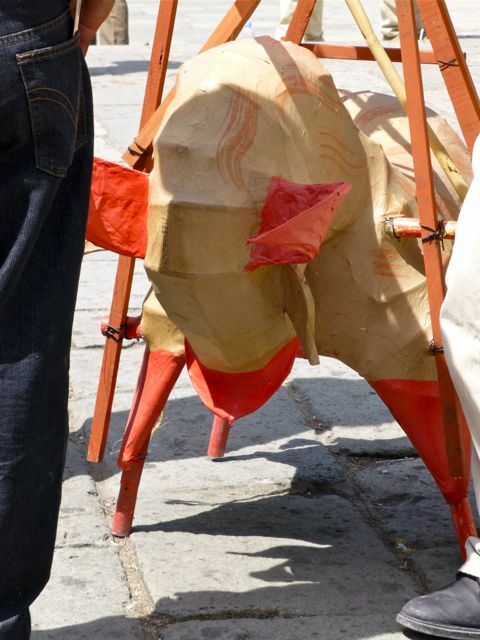 Toritos de luces (little paper-mache bulls wired with fireworks) have begun gathering. And, as I write, the frame of the castillo below has been raised to its “upright and locked position,” its various spinning appendages have been affixed, and gunpowder tracks are waiting to be lit. Alas, the action doesn’t begin until around 10:00 PM. The spirit is willing, but it’s been a busy day, and this “too too solid flesh” is looking forward to melting into her bed. Think I’ll just watch the fireworks from the terrace. I know, what a wimp!!! 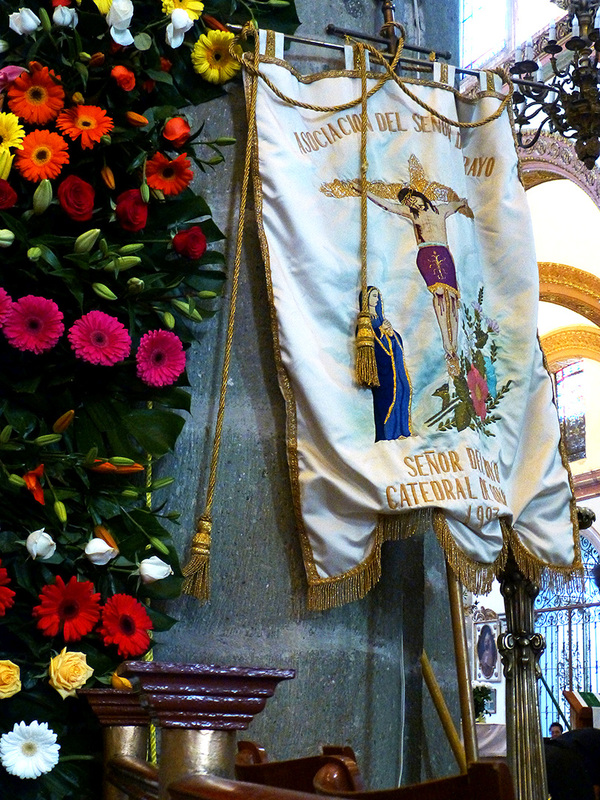 6 AM this morning, I awoke to fireworks and riotously clanging church bells coming from the cathedral, calling my attention to the October 23rd annual fiesta of Señor del Rayo. 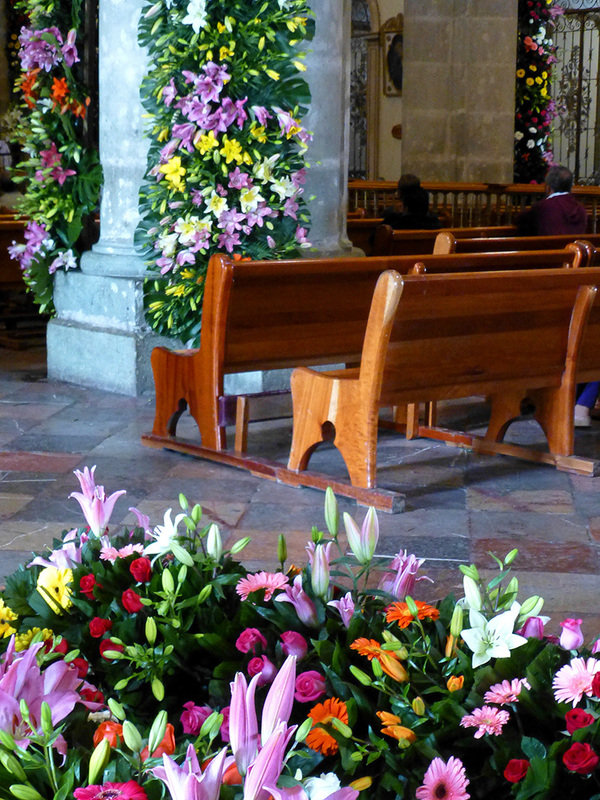 Like Guelaguetza, Noche de Rabanós (Night of the Radishes), and Día de la Samaritana (Good Samaritan Day), it is an “only in Oaxaca” celebration. 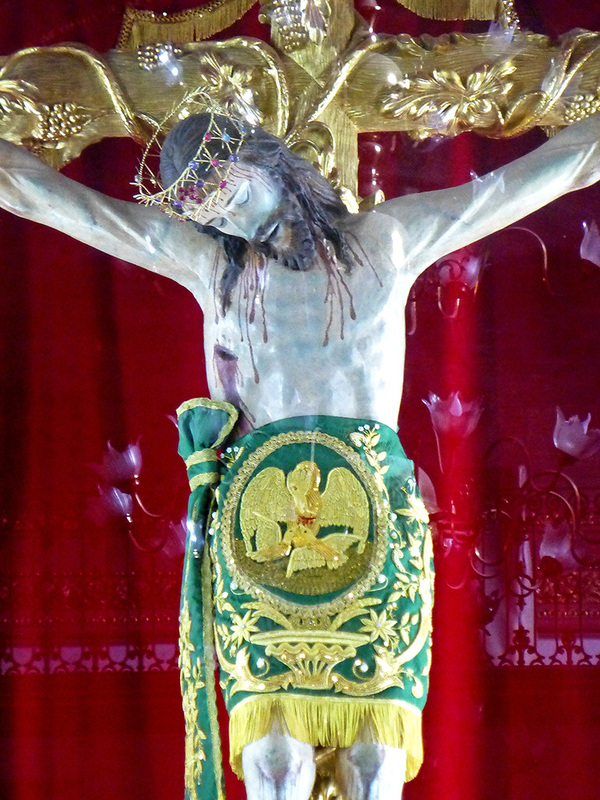 This image of Christ on the Cross was brought to Oaxaca during the 16th century. 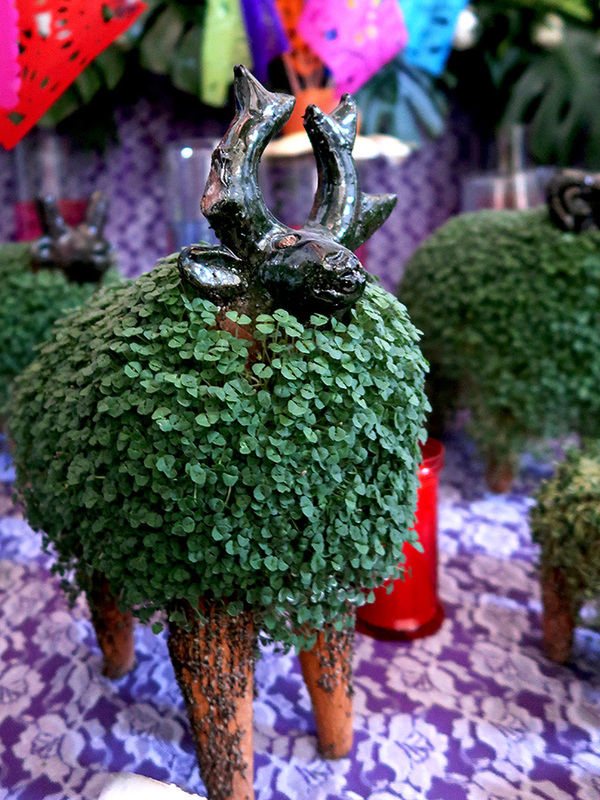 It was placed in the temple of San Juan de Dios, a church which had adobe walls and a straw (or possibly wood) roof. Legend has it that lightning struck the church and everything was destroyed, save for this statue. 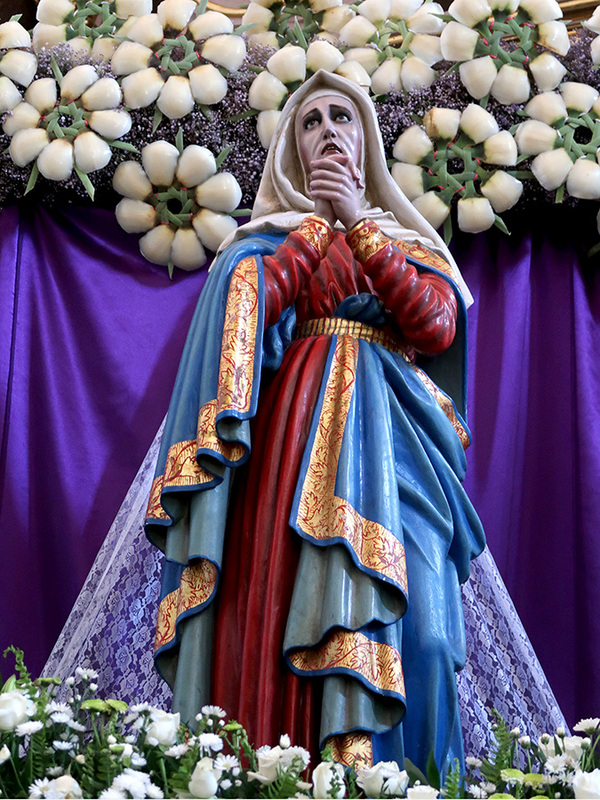 Un milagro! The statue became known as Señor del Rayo (Lord of Lightning), eventually was moved to his own chapel in the newly built cathedral, and has been much venerated ever since. 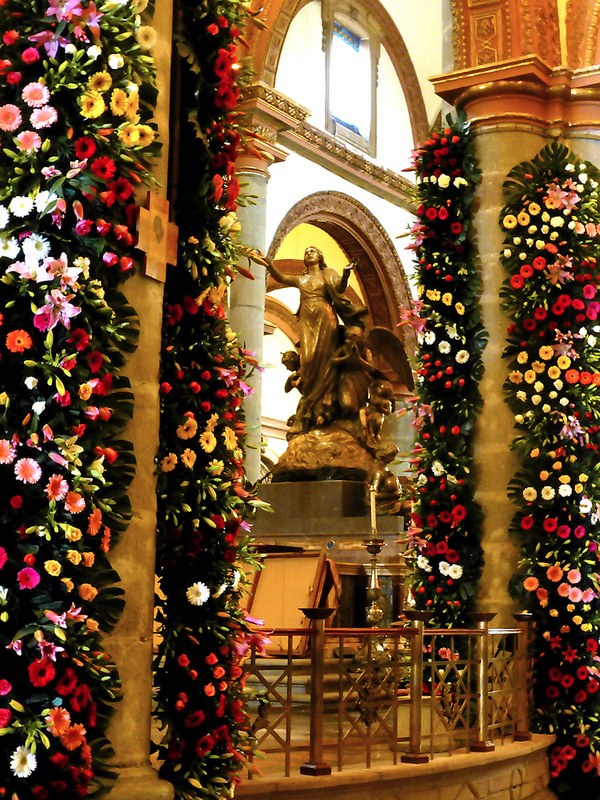 However, on October 21, in anticipation of his special day, the statue is moved to the main altar of the cathedral, the cathedral is filled with lilies (the scent “breathtaking”), and the faithful flock to pray before Señor del Rayo. 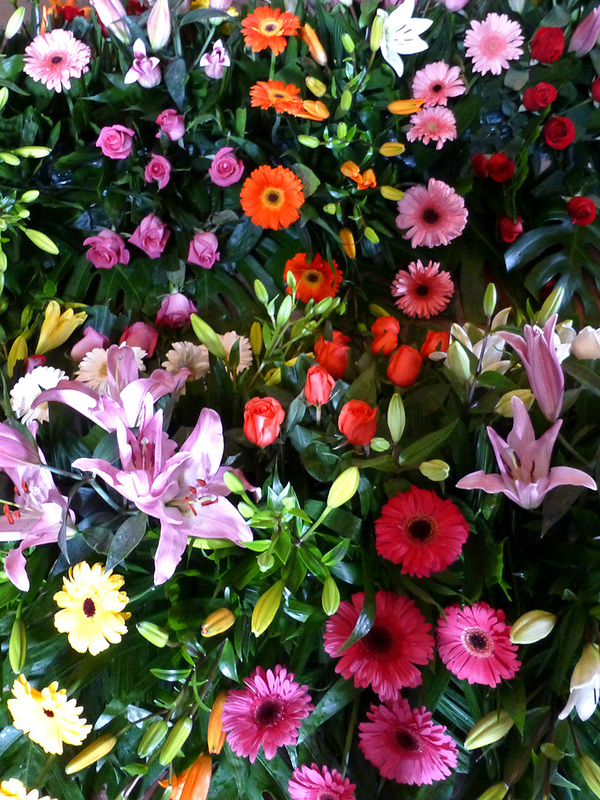 Flowers are daily sprayed with water, to keep them fresh… BUT, as the signs say, please do not uproot and carry them away.